CMA AWARDS 2018: THE REACTIONS. The CMA nominations were announced Tuesday morning (August 28th), and Luke Bryan is once again nominated for CMA Entertainer of the Year, having won the award twice previously. He says he still has to pinch himself when he thinks about having two of those trophies on his mantel. Little Big Town just finished up their Bandwagon Tour over the weekend and woke up to a Vocal Group of the Year nomination. The band has won this award for the past five years. Lady Antebellum has won the award for Vocal Group of the Year THREE times; from 2009 through 2011. Maddie & Tae, who are up for Vocal Duo of the Year said it was a nice surprise to wake up to this morning. Kacey Musgraves had a pair of nominations, including Female Vocalist of the Year and Album of the Year for Golden Road. Feeling grateful today. I’m lucky to get to explore all that inspires me and make chronological recordings of said inspiration for a living. Those resulting sounds, efforts, emotions, & thoughts being recognized by @CountryMusic Association [or anyone] means a lot to me. Thanks. Brothers Osborne earns another nomination for Vocal Duo of the Year, as well as a nod for Musical Event of the Year for “Burnin’ Man” with Dierks Bentley. Lauren Alaina is nominated for New Artist of the Year, and while she’s going through a difficult time with her family, this nomination came in at the right time. THE 2018 CMA NOMINATIONS HAVE BEEN ANNOUNCED. Luke Bryan, Dan + Shay and Sugarland announced the final nominations for The 52nd Annual CMA Awards this morning (August 28th) live on ABC’s Good Morning America from Luke’s 32 Bridge Food + Drink bar located on Lower Broadway in downtown Nashville. 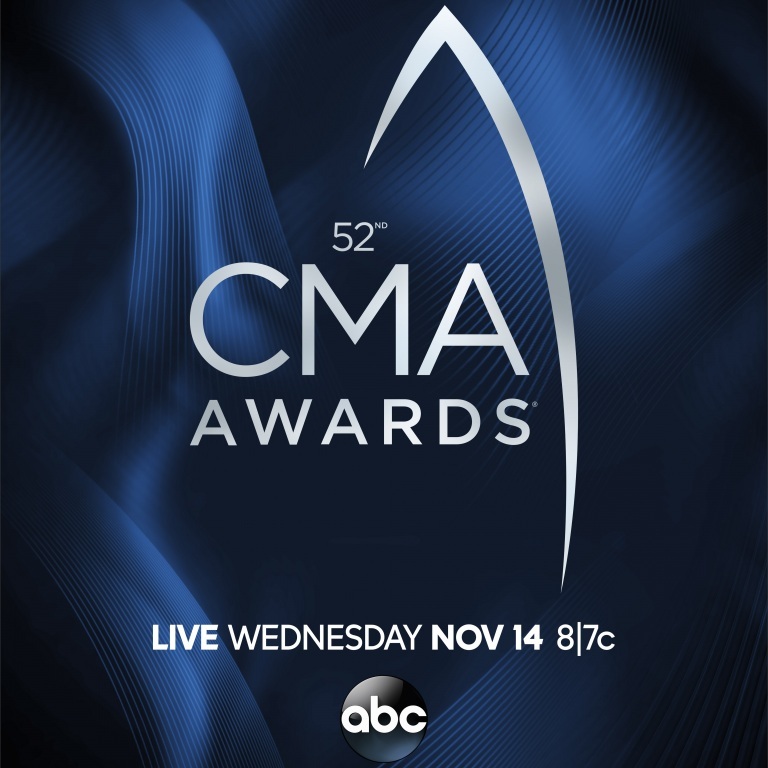 The artists revealed six categories live on-air, then announced the remaining six categories, along with finalists for the CMA Broadcast Awards, on GoodMorningAmerica.com as well as via “Good Morning America’s” Facebook page through Facebook Live, Twitter and simulcast on “Good Morning America’s” YouTube channel. Audio / LUKE BRYAN SAY WINNING HIS FIRST CMA ENTERTAINER OF THE YEAR AWARD CHANGED HIS LIFE. Audio / KEITH URBAN PICKED UP HIS FIRST CMA MALE VOCALIST OF THE YEAR AWARD IN 2004, AND HE SAYS IT WAS A HUMBLING EXPERIENCE FOR HIM. HE WENT ON TO WIN THAT AWARD IN 2005 AND 2006. Audio / Keith Urban explains why he felt the need to name his CMA nominated album, Graffiti U.
Kacey Musgraves, who celebrated a birthday this week, has been tapped to perform at the Global Citizen Festival: Mandela 100 event in Johannesburg, South Africa later this year. She is among a star-studded group of famous faces, including Oprah, Beyonce, Jay-Z, Ed Sheeran, Usher, Pharrell Williams, Gayle King, Tyler Perry, Naomi Campbell and Eddie Vedder (Pearl Jam) to join together December 2nd at FNB Stadium. Global Citizens’ actions are helping to end extreme poverty by 2030 as part of the United Nations’ Sustainable Development Goals. Global Citizen works across the 17 Global Goals including Food and Nutrition, Water and Sanitation, Girls and Women, the Environment, Health and Finance and Innovation. Maddie & Tae don’t get “board” easily, and if they’re looking to be a little competitive, they’ll break out some old-fashioned board games. The duo, who are climbing the charts with “Friends Don’t,” will head out on the road with Carrie Underwood on the Cry Pretty Tour 360 beginning in May. Audio / Maddie & Tae reveal their favorite classic board games. PLATINUM-selling duo Maddie & Tae have unveiled the official music video for “Friends Don’t” – “an energetic track that tackles the mixed emotions of a friendship on the verge of romance” (Billboard). Serving as the single from their upcoming sophomore album, the video was shot in Nashville with director TK McKamy and mirrors the flirtatious uncertainty the comes at the beginning of relationships. Written by Maddie & Tae’s Madison Marlow and Taylor Dye, along with Justin Ebach and Jon Nite, the “up-tempo almost love song” (Tennessean) is gaining momentum at radio and recently landed on Amazon Music’s Best Country of 2018 So Far playlist. Award-winning duo Maddie & Tae are drawing praise for their new single “Friends Don’t,” “anchored around their stellar vocal pairings and some of the tightest harmonies on Music Row (Rolling Stone). “The sound is identifiable while still representing a distinct step forward” (Billboard), giving fans a taste of what to expect from their highly-anticipated forthcoming full-length album. Maddie & Tae first broke out in 2013 with their brilliant take down of bro-country, “Girl In A Country Song,” which took Country radio by storm, skyrocketing to the top of the charts and quickly going PLATINUM. The duo became only the third female duo in 70 years to top the country airplay charts, also earning trophies from the Country Music Academy and Radio Disney Music Awards along with multiple ACM, CMA and CMT Award nominations. Receiving widespread praise from NPR, Billboard, Entertainment Weekly, The Washington Post, Glamour and others, country music’s hottest stars including Dierks Bentley, Lee Brice and Brad Paisley have welcomed Maddie & Tae on the road. For additional information, please visit www.maddieandtae.com. Maddie & Tae will premiere the music video for their latest song, “Friends Don’t,” tomorrow. In the meantime, if you want to get a sneak peek, Entertainment Tonight gives you a behind-the-scenes look at the clip. Check out all the action right here. MADDIE & TAE REVEAL THEIR FAVORITE FAIR AND FESTIVAL FOODS. Some of your favorite artists are hitting the fair and festival circuit, in addition to their own tours. Many of them are tempted by the food that is synonymous with fairs and festivals. When Maddie & Tae hit the road, they’re usually looking for certain things they can only find at those specific venues. The duo’s new single, “Friends Don’t,” is currently making their way up the country charts. For information on tour dates, music and more, go to maddieandtae.com. 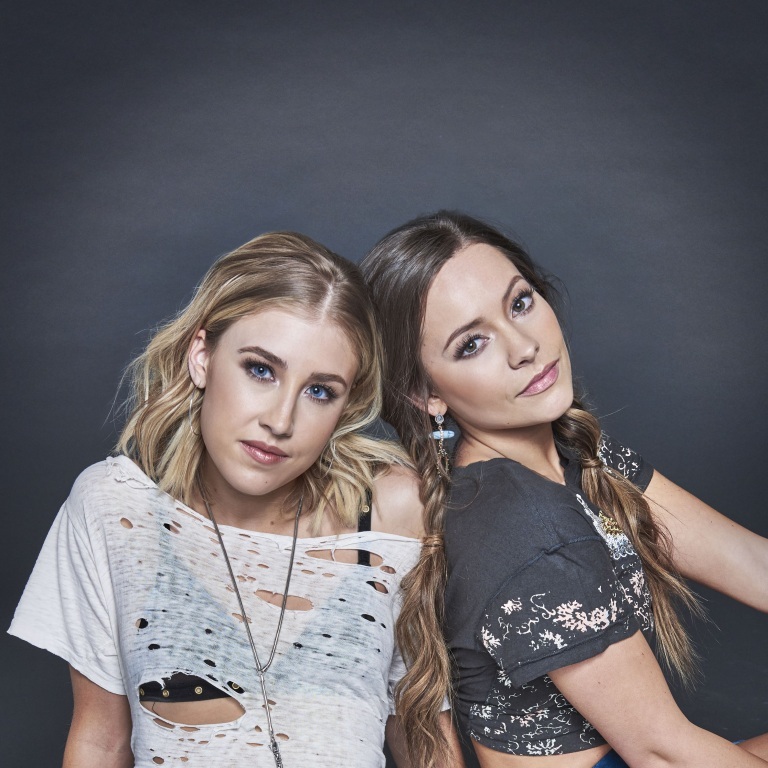 Audio / Maddie & Tae reveal their favorite fair and festival must-haves. Maddie & Tae have been working very hard in the studio and on the road, so when there was a break in the schedule, M&T’s Tae Dye decided to head “Somewhere on a Beach” in Bora Bora. However, it took nearly 24-hours just to get there. She documented her trip in a video diary, and it looked like she had a great time! Check it out below. In the meantime, you can also check out their song, “Friends Don’t,” by turning on the radio, downloading it or steaming it. Go to maddieandtae.com for information on tour dates and more.